When I first heard about Dylan’s Christmas project, I must admit I thought it was a joke. First of all, Christmas In the Heart is not a new Bob Dylan CD. It`s a charity project. Dylan and the musicians do not get a single penny according to Dylan’s web site. The record does not include any original Dylan tunes. All the tracks are Dylan’s interpretation of traditional Christmas songs. 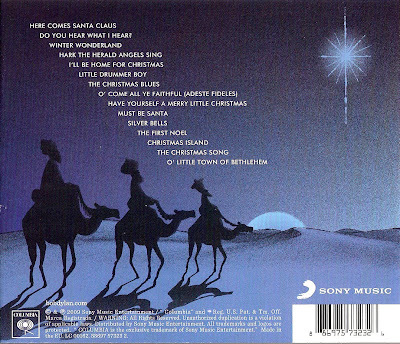 The fifteen tracks are picked mostly from the American Christmas tradition and include songs like “Here Comes Santa Claus”, “Winter Wonderland”, “Have Yourself a Merry Little Christmas” among others. Hence, this is not a record for Dylan fans, which I believe tend to hate Christmas carols in general. The record is obviously targeted for the general public. The whole idea is to sell records, generate money and to give poor people free meals during Christmas. This is important facts to keep in mind. Dylan has loosened up over the last few years: He has finally stopped fighting his own legend. He recent records exposes humor, irony and is more playful than ever. It`s like he is thinking that life isn`t that serious after all. Dylan`s inspiration from traditional blues, jazz and music hall songs from the 1920 to 1950 is obvious. It`s manifested on “Love & Theft” from 2001 and is also the inspiration for “Modern Times” and is also recognizable on his more bluesy 2009 effort “Together through life”. Dylan’s Christmas album is in an odd way inspired from the same tradition. It gives me a kind of Dylan meets Disney, Sinatra and Andrew Sisters feeling. Dylan has simply made a Christmas record true to a musical heritage from the forties and fifties. The arrangements have a traditional and somewhat old aged sound. The choir arrangements remind me of Disney’s “zippi du dua”-song. In fact, I never expected to associate any of Dylan’s work with that kind of music. Still it makes a kind of sense. American Christmas songs and records from that period sounded like that. He doesn`t try to convert them to Dylan songs. He just sings and arranges them in a way that is true to the songs musical origin. Still the album has a modern touch. The sound and production is good. Dylan is singing nice and is really into it. His rusty voice filled with patina and age makes a very interesting contrast to the in many ways well known arrangements. His voice gives a new and sometimes unexpected feeling. If Santa has a voice, Dylan is probably the closest we ever get to hear it. Obviously Dylan had a good time in the studio. It’s a lot of energy in the band and in Dylan’s performances. The record is packed with instruments spanning from accordion, steel guitars to strings, bells and drums. The band is based on his current touring band. Tony Garnier on bass, George Receli on drums and percussion, Don Herron on steel guitar, mandolin, violin and trumpet. Bob Dylan is playing guitar, electric piano and harmonica. The touring band is extended by David Hildalgo (Los Lobos) on guitar, accordion, mandolin and trumpet, Phil Upchurch on guitar and finally Patrick Warren on piano, organ and celeste. The band is backed by the four men and three women strong “Mixed Voice Singer”. They do a fantastic job bringing this record sounding like it was recorded back in the fifties. Despite the fact that some of the arrangements and songs initially sound a bit strange, I soon recognize an underlying quality in almost every one of them. It’s strange, but I feel Dylan’s genius comes true and all of the songs on the record grow on me. As a Dylan fan I think “Christmas Blues” and “Have Yourself A Merry Little Christmas” is the highlights of the album. “Must be Santa” is probably the only polka and the most up-tempo song Dylan ever has recorded. It`s great fun and is also expected to be the soundtrack for the video from the album. However the quality of this record is so high, that I am not able to spot one weak song, if you buy the idea and intention with this project. This album is not a new Dylan record. It is a very funny and entertaining Christmas album from Mr. Dylan. He has made a classical Christmas album - in some way or another. This is probably the most interesting Christmas record ever released and Dylan has put a lot of effort and energy in doing this right. 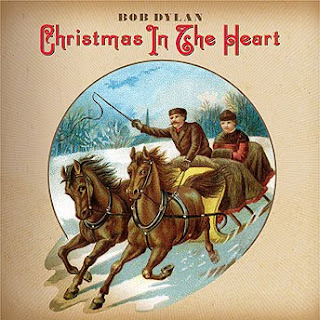 I love “Christmas in the Heart” and I tend to define it as a Dylan holyday masterpiece. It`s that good!